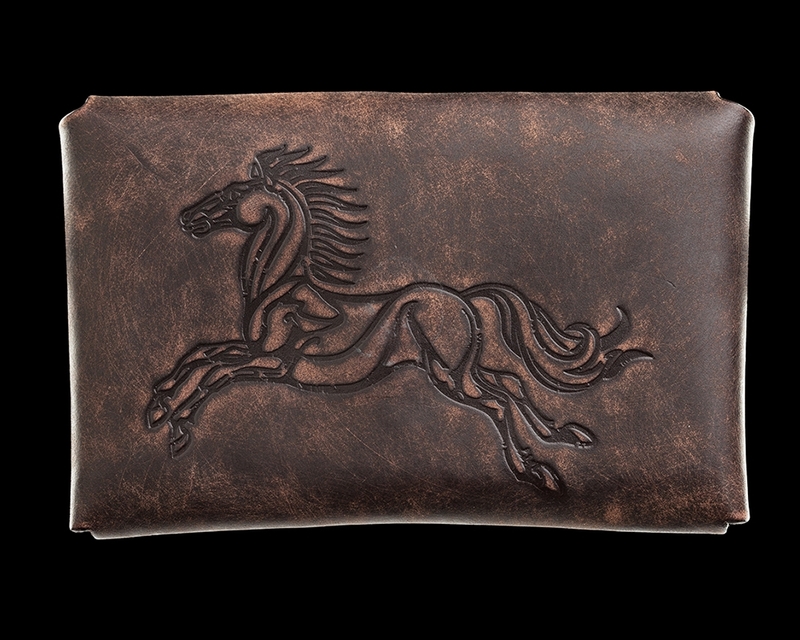 The leaping stallion of the Rohirrim embossed on a one-piece leather wallet. This exquisite accessory will last you a lifetime. 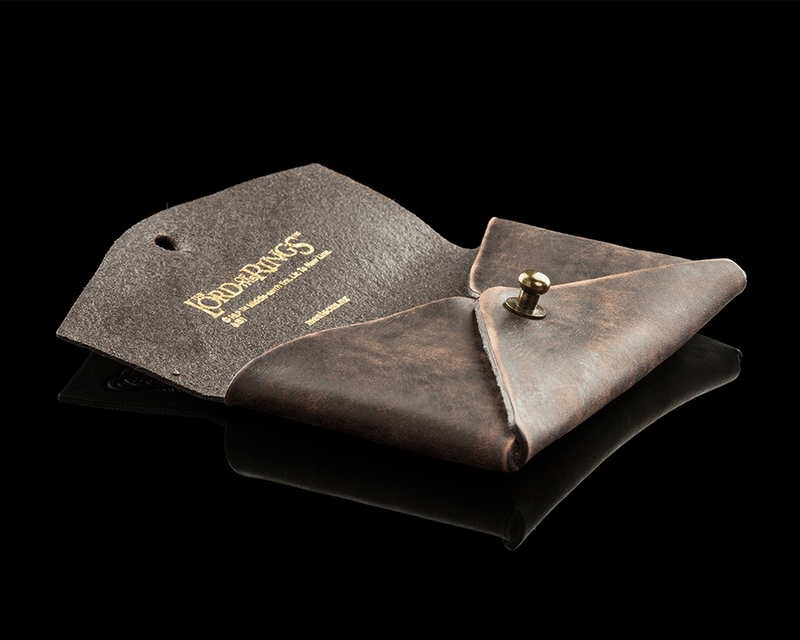 It was made by Meniscus in Wellington, New Zealand, from supple vegetable tanned cowhide with a bronze pin for closure. This is a natural product with unique colour and texture variations. Created by the same talented artists and craftsmen who created leatherwork for the 3Foot7 art department on The Hobbit movies. 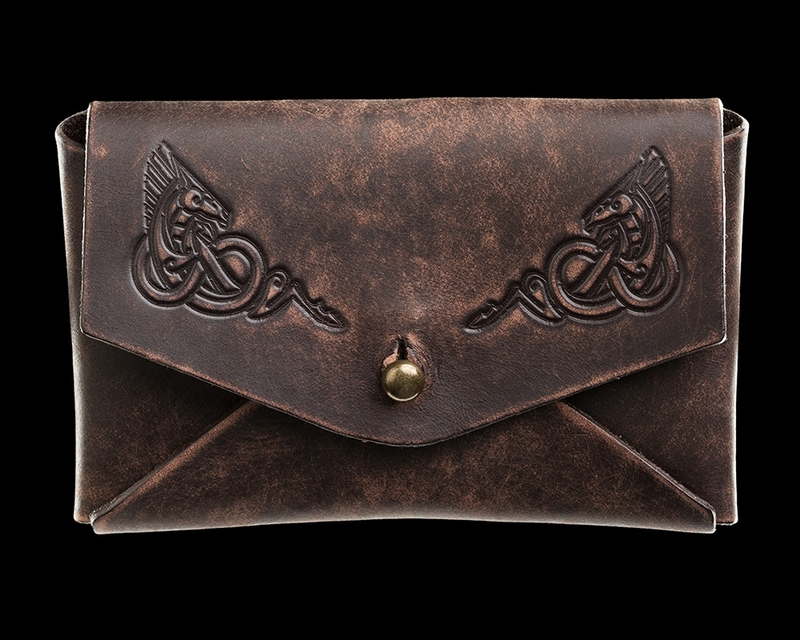 I constantly wear Weta's impressive dwarf leather cuff, so was pretty confident about this little envelope-style wallet or pouch. Beautifully smooth with that wonderful leather smell! These wallets are very tactile, beautiful to look at and have that irresistible 'new car' smell. They're big enough to hold credit cards, bills, notes and other bits and bobs.